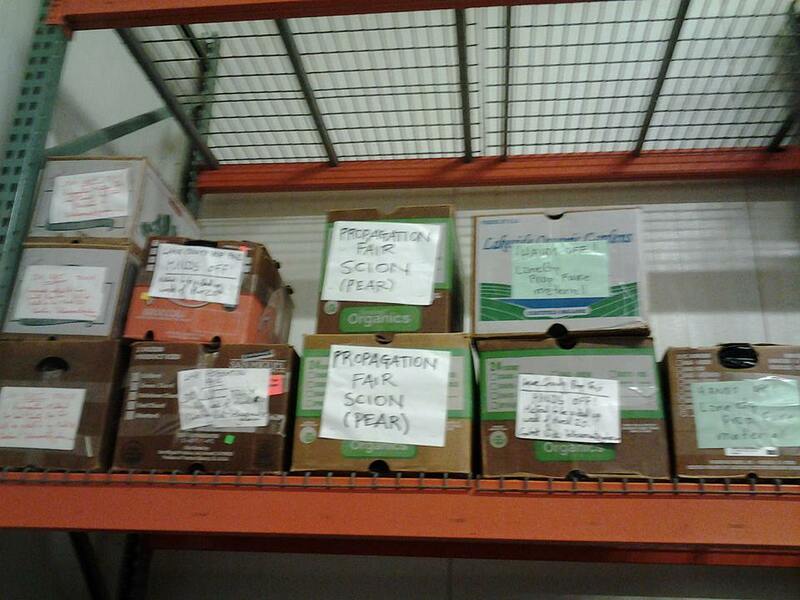 Preparing for the 2014 propagation fair! 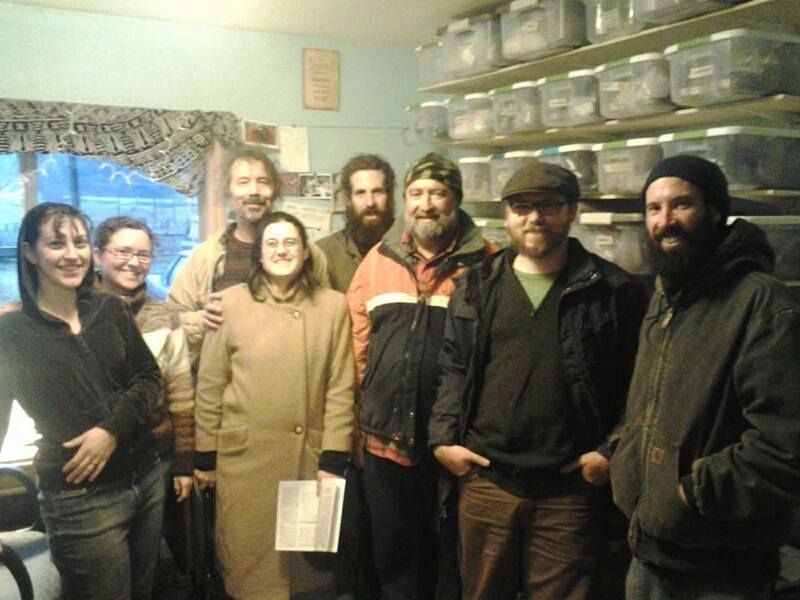 Five years ago, a handful of local fruit enthusiasts decided to morph our modest local Spring Seed Swap into an all-encompassing propagation fair. Those grassroots aspirations have now matured to the point where our annual propagation fair makes a palpable difference to fruit culture in our bioregion. 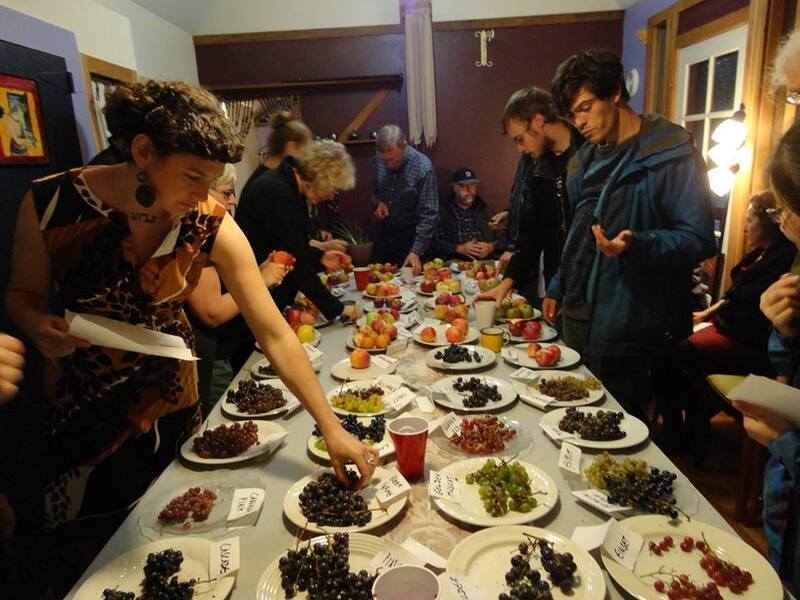 We now, for example, offer considerably more diversity in bioregionally-proven, disease-resistant varieties of the major fruit groups, than all Oregon commercial nurseries combined. In 2013, fair attendance ran at about 1,500 attendees. Not bad for a free, 100% volunteer-driven event, eh? Here’s a quick picture of our fair-preparation efforts this season. Ritual! The annual cleaning of hundreds of scion pots for the prop fair. 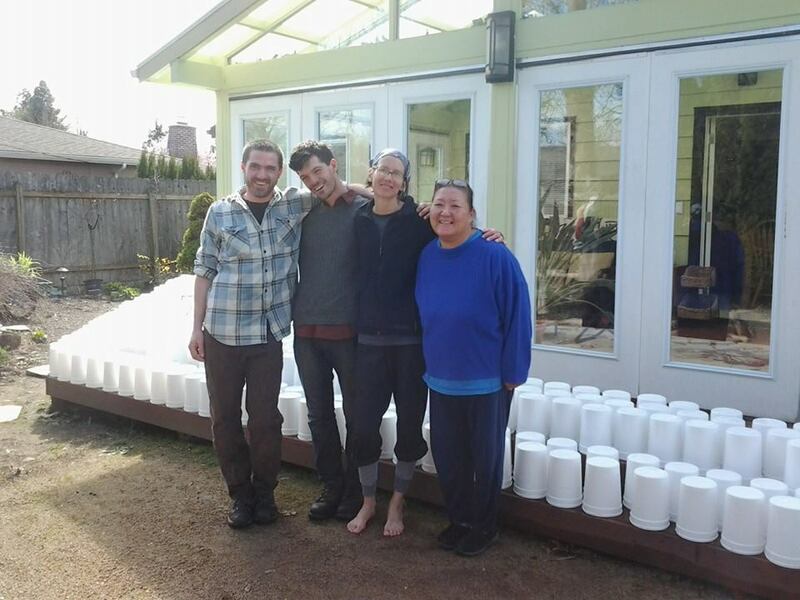 Revoutionary camaraderie in the glorious sunshine with Maggie Manitoba of Healing Harvest, Karen Moore, Geran Wales and Ben Riley. What will we have freely on offer? Among others, grapes. About 135 varieties! Most cultivars, we find, are vigorous, tough customers, resistant to disease, very productive, drought-tolerant, handle weed-pressure well, are easy-to-grow, and easy-peasy to propagate. The diversity available to us includes a dizzying array of ecstatic flavors. 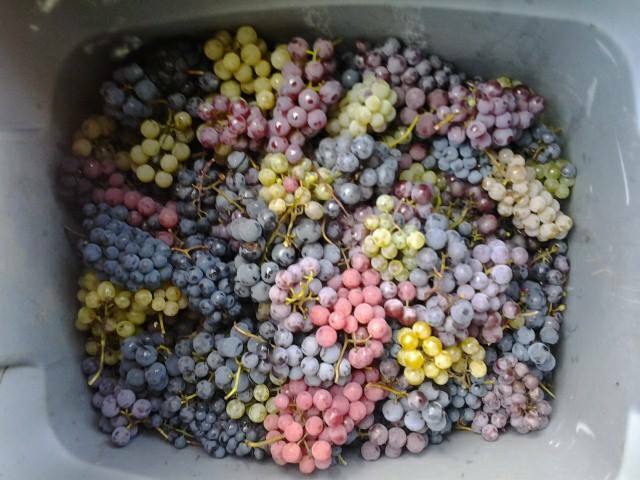 Grapes gathered for our fall fruit show. Diversitas! In our bioregion, as we have moved among about 500 or so different varieties through the years, we have noted an uncommon number of grape varieties come in tops in every performance category under organic conditions. In our experience, this makes grapes something of a standout relative to other fruit types which do indeed have have their star-performers – high-performing plants and fruit – but in no where the numbers that grape varieties offer themselves up. 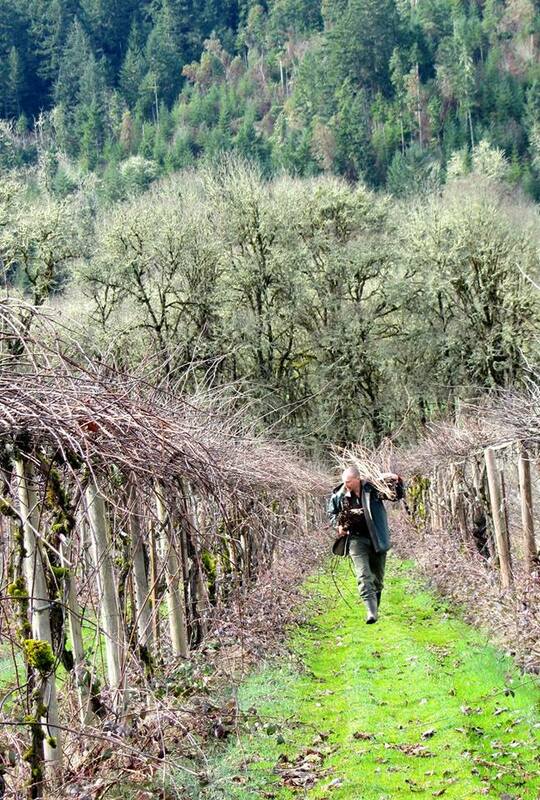 Gathering grape scion at Spearheart Farm in Yoncalla. A key focus of ours in recent years has been selecting the finest disease-resistant, superb-tasting, highly productive seedless grape varieties to bring to our prop fair. In this regard, we sense our fair leads the bioregion. Our OG selection protocol remains a defining emphasis among our grape scion selection. We have also broadened our embrace this year, adding grapes we haven’t carried before and which will double our typical count. The vast majority are Class A performers, though in making a nod to populist appeal, we have admittedly included a small handful – such as the Pinot Noir, perhaps you spray – which don’t thrive under organic conditions, where we do have wine grapes which are highly disease resistant (and which reliably produce sugar early), and which we will be making available this year as usual. Collecting scion at the USDA in Corvallis with JJ, Pete and Ja. Any idea what fresh local pears in very early July can taste like? We do. Yum. 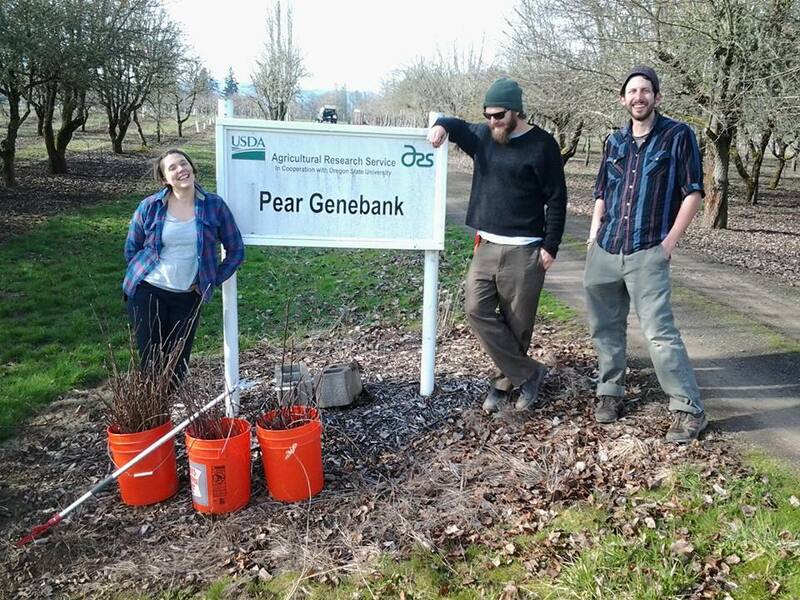 As it happens, the USDA’s pear genebank in Corvallis, an hour to our north, is home to the most diverse collection of pear cultivars on earth. And only the teensiest handful of the 1,000 named varieties it holds are being grown elsewhere upon US shores. Why is that? Well, primarily because the Corvallis pears (super-early-maturers among ’em) typically lack big biz appeal (their fruits are too fragile, different or fast-maturing, for example) to meet the demands of an industrial food system which has, rather, settled in upon a pear-culture model in which one variety, Bartlett, accounts for the majority of pears grown. Bartlett, Anjou and Bosc account for 94% of all pears grown the in US. No other food crop has witnessed such catastrophic loss of varietal diversity. Surprising perhaps, but while the remit of the USDA scientists at the Corvallis repository is to assemble an unparalleled diversity of Pyrus germplasm from around the globe, their formal role does not include actively identifying and promoting cultivars worthy of ‘release’. 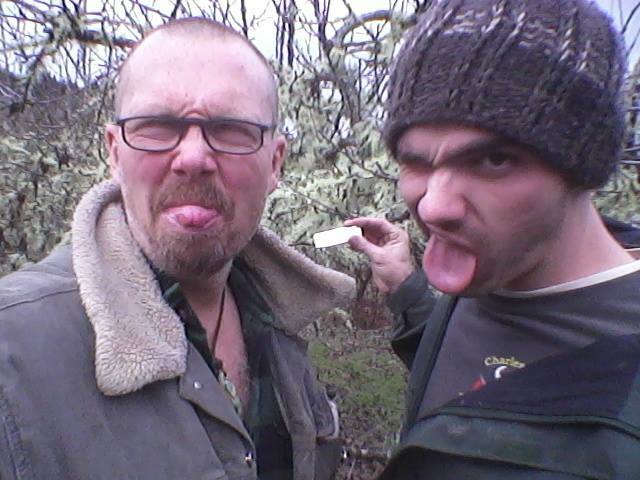 That responsibility, wouldn’t ya know, belongs to, hmm, well, the likes of grassroots fruit enthusiasts such as us. Ain’t no other cavalry on the horizon riding in to free those pears, folks. And so, unnoticed, a small cabal of pear geeks have been walking and examining and tasting the Corvallis pear ocean through the years. Tough work. Someone’s gotta do it! Asian pear scion ready for processing. 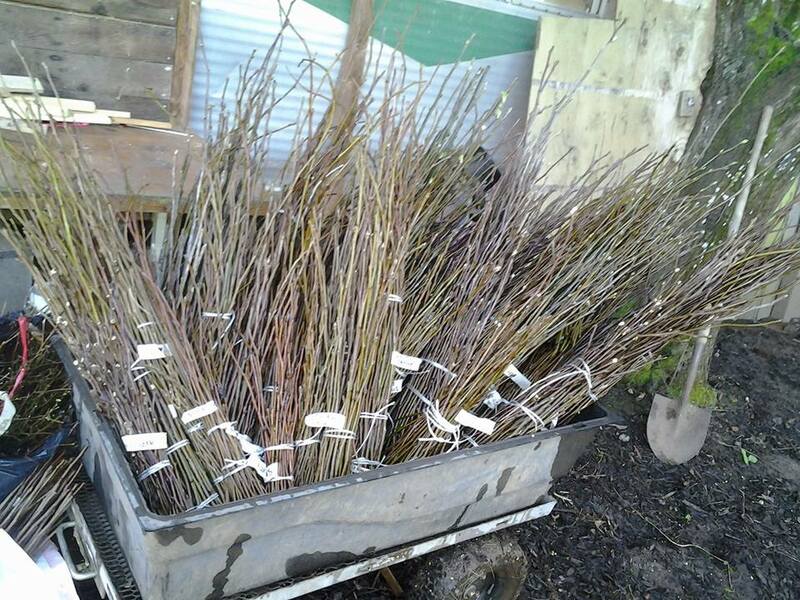 We support and work closely with the Home Orchard Society in Portland, collecting hundreds of varieties of different fruit types to put into their spring fair. They return the favor handsomely, with advice and support. Here is a vast array of high quality Asian pear scion cut for us by George Barton, the Home Orchard Society’s Asian pear guru. 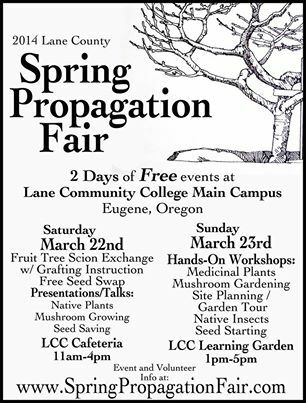 Anecdotal evidence repeatedly confirms Asian pears are the most productive fruit trees in the PNW, and the Lane County Propagation Fair makes a point of offering up an unparalleled array of proven cultivars, rootstock diversity, and clear, concise, definitive descriptions of the material to hand. Apples are what peeps want. 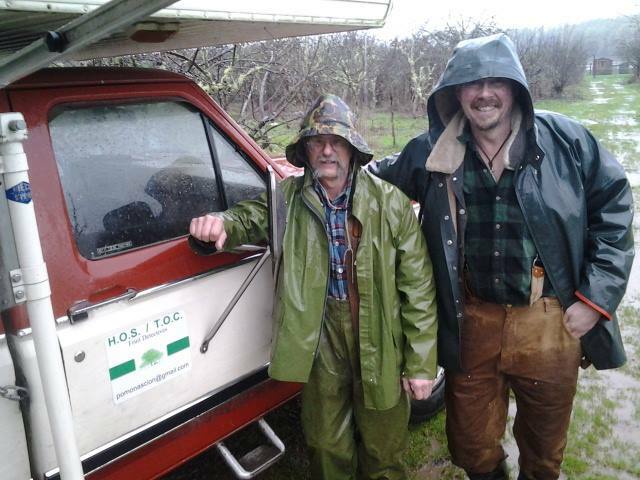 Here we join the Home Orchard Society’s Shaun Shepherd, a dear friend and a fruit enthusiast recognized nationwide as one of our foremost apple ID and cider experts, cutting scion over a weekend of pouring rain at Nick Botner’s repository in Douglas County. We end the day as drowned rats, Calvados-warmed. Fruit culture! ‘Fruit enthusiasts’ we may be, but we also hang with the pros. Basking here in the tutorial brilliance of SLO Farm’s Tom Murray teaching us a vertical axis training system for a new orchard establishment. Where were we? Cutting scion off each tree pruned. Then, we get to share intel with old timers from far afield! 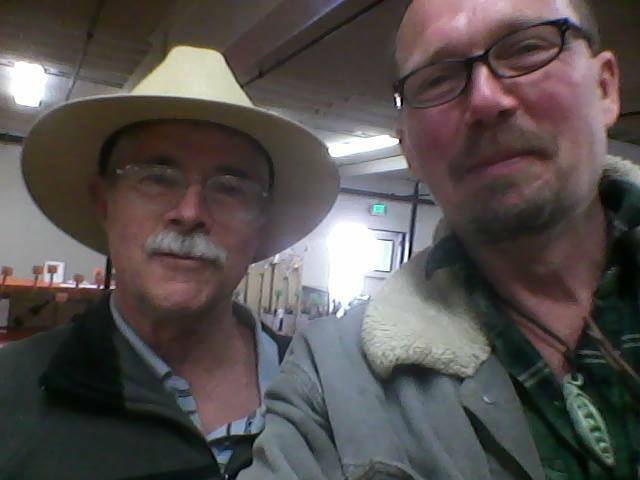 Hobnobbing with Harry Burton of the legendary Salt Spring Island Apple Show, in from BC for the Home Orchard Society scion fair. International fruit geekout! and processing, and cataloging our scion. and placing it in the cooler of our local food bank, Food For Lane County, a sponsor of our event. Yup, we are an inter-agency effort! 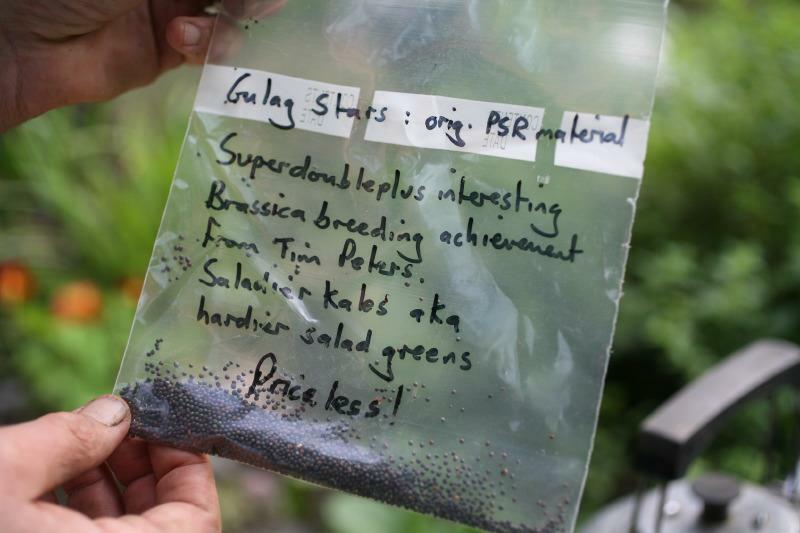 Our propagation fair includes a seed swap. Last year, around 1,500 peeps attended our event. 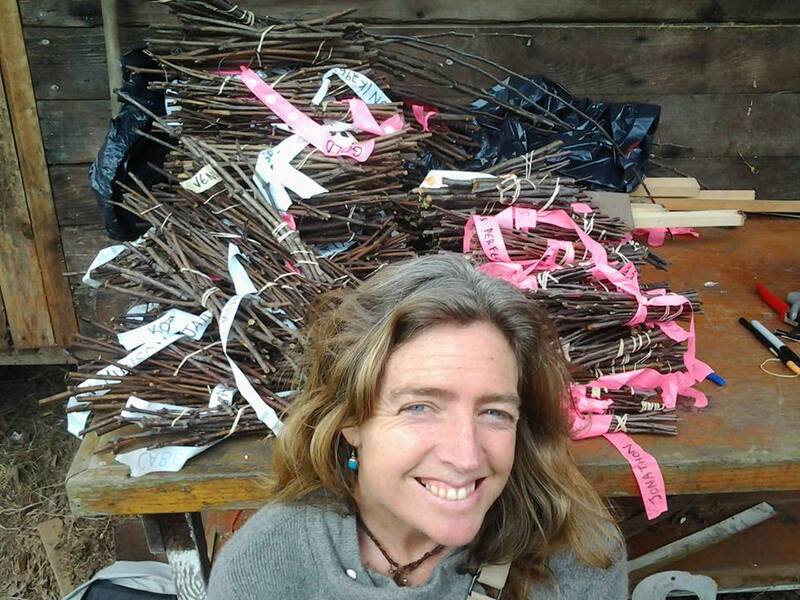 We move among public domain plant stewards as well as orchardists. Here we are in February hanging with key peeps from the Southern Exposure Seed Exchange, Adaptive Seeds, Commonwealth Seeds, Moloka’i and Springfield. And, of course, all our industriousness pays off when we get to taste the fruits of our labors. 50 apples selected for taste from 4,000 varieties in late September. And 50 grapes selected from 500 varieties. Yum! Hope to see you at our event. It’s free and fun, and you’ll find a dizzying array of material to hand. 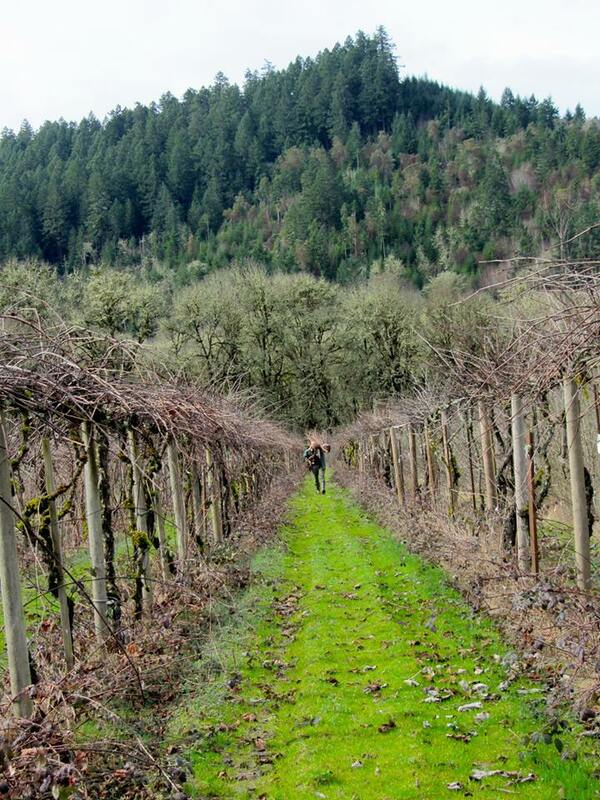 Please check out our varietal lists from the links at the head of this page. Thanks Nick et al. 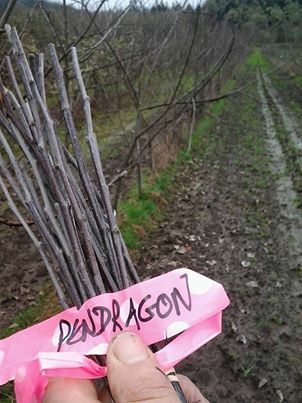 2014 was another great propagation fair! 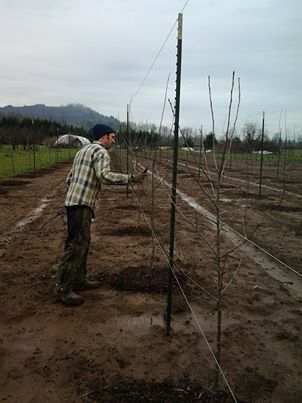 Managed to graft two new interstem apple trees with your rootstocks. What fun! Wonder how many new fruit trees were created by this event?